It took the closing of the historic Astoria Boxing Club, and the passing of local legend George Angelomatis, for East Side Boxing to begin. Change is never easy, and in circumstances like this, not planned for. It's difficult to move forward when something or someone so impactful is now missing from the equation. But when a seed has been planted, with such deep roots in both the community and boxing, it's difficult to hold it back. That seed, according to Anna Farant, a key member of the East Side Boxing team, is head coach Dave Schuck. "The spirit of the gym is Dave. He has always been doing this for the local kids, in a very informal way, with no credit, and no attention. The gym has now grown to be more efficient and bigger—bigger than all of us involved, but Dave innately is the original seed." 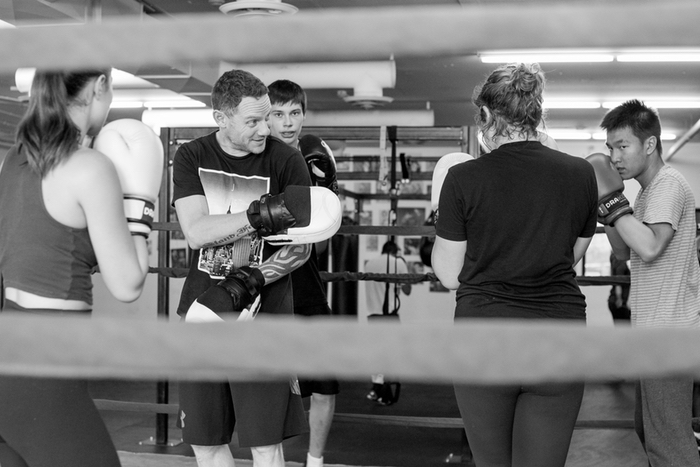 Dave began competitively boxing in 1986, but always had a passion for coaching. He sacrificed his own career to help others; coaching alongside George at the Astoria for over 15 years. He is Level 3 USA Boxing certified, Level 2 Canadian Amateur Boxing Association certified, and has his Professional Boxing Coach certification. 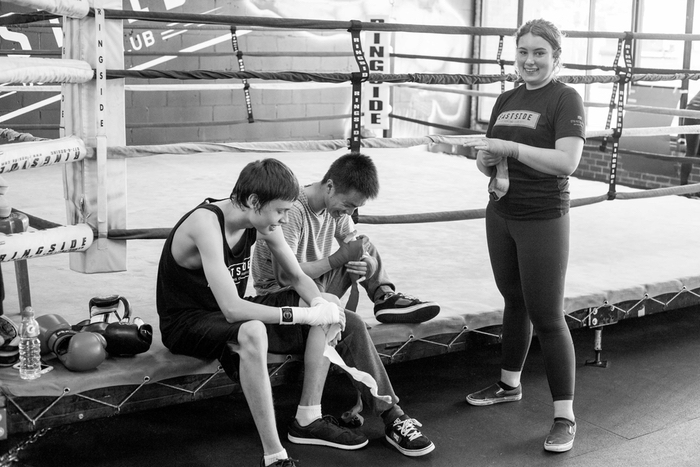 Located in Vancouver's infamous downtown-east-side, East Side Boxing now caters to over 100 at-risk youth in their after school program and another 60 vulnerable young adults who alternate training days with the kids. The gym officially opened in 2012 when George Angelomatis became ill, and Astoria Boxing gym had to reluctantly close its doors. This left many at-risk youth displaced with no positive outlet to hone skills essential to adolescent development like confidence building, feelings of unity and belonging, and of course a place to exercise. Dave, not willing to give up on the kids, partnered with Nick Rossi to start Aprons for Gloves, a black tie fundraiser gala where people in the service industry exchange their aprons in for boxing gloves and fight for the very first time in their lives. Their first event was a complete success, raising over 60,000 CAD. Now in it's fifth year they raised a record breaking 200,000 CAD for the gym. "Some of these kids have never seen a doctor before. So having a nurse come in is not only about their health but about creating positive relationships with people of authority." Now officially partnered with NICCSS, a community based initiative program that works to connect at-risk youth, and Good Food For All a program that not only helps provide healthy food to kids that need it but also teaching them a healthy food culture, East Boxing Gym is a grassroots enterprise with massive success. Good Food For All helps provide pre and post work out snacks for the kids in addition to setting up a pantry for them to be able to take home food. Being at the gym to box takes away a lot of the stigma involved in going to food banks and makes it a lot easier for the kids to access essential nutrition. In addition, East Side Boxing is also able to provide clothing and other necessary sporting equipment like sports bras, mouth guards, and hand wraps for all the kids enrolled in the program. Through boxing, the mentors are able to talk to the kids about writing resumes, applying for jobs, and making healthy lifestyle choices. And because of the extensive amount of resources the gym has worked so hard to assemble, these talks are then put into action as kids are directly put into contact with individuals or organizations who can further help them. "We won't turn anyone down, and try to make it work for everyone. If you can't afford gym dues you can help clean or volunteer with the kids." In addition to Anna and Dave, East Side Boxing has an impressive repertoire of volunteers essential to keep the program going. From an outsiders perspective, it is the humility of the people involved that creates the type of environment needed for these kids to flourish within the program. Brian Grant works alongside Dave as assistant coach. He's a true boxing connoisseur, someone who loves boxing so much he just wants to show others the beauty and benefits of the sport. In addition to working with the youth and young adults in the program, Brian is an essential part of the training of the yearly recruits as part of the Aprons for Gloves fundraisers. As someone working in the service industry, he's able to really connect with the first time contenders and match them up accordingly. Jordan Bowers had been boxing with Dave for over 10 years prior to the gym opening. He too has deep roots in the community and extensive experience working with at-risk youth. He's the cool guy able to get on the same level as the kids and resonate with them. As someone who has worked at the Burnaby Youth Correctional Facility, Jordan knows first hand how important a program like this is. Dave, Anna, Jordan, and Brian. The fantastic four. 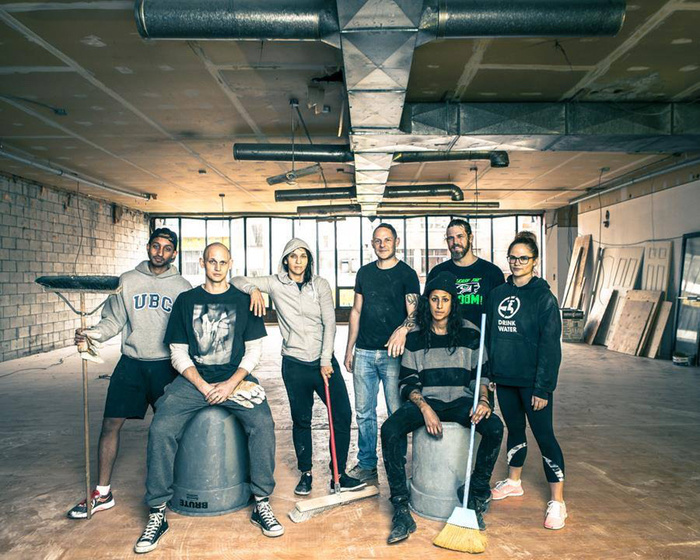 Four individuals from different walks of life who have come together to build a badass boxing gym with the skills and capabilities to give back to the local community in a way that is so real, so pure, it's contagious. But the gym has grown immensely, it's almost overwhelming. In 2014, Leigh Carter joined the team as the community coordinator and since then basically runs everything. For Anna, who mainly remains behind the scenes in operations where she feels her skills are best utilized, it is personal. The former manager at Insight, Vancouver's safe injection site, Anna has had to overcome her own demons in order to do what she is doing. As someone who struggled to find sobriety, Anna feels it is her job to give back. "Addiction is a selfish disease and recovery has to be selflessness." A self described scrappy teenager, Anna reflects on her own adolescence, realizing the impact a gym like this could have had on her. The way it is having an impact on the lives of so many young people. The gym is now in it's sixth year in business. It survived a fire and continues to foster and grow its roots into the community. 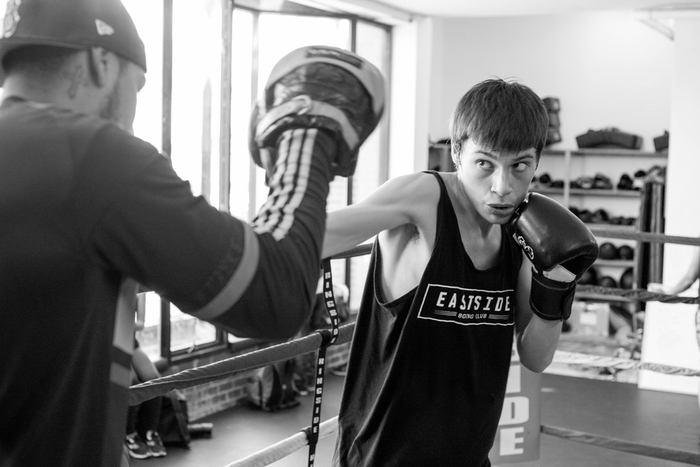 As the Astoria Boxing Gym was before it, East Side Boxing Gym is sure to be a long lasting and instrumental part of Vancouver's downtown east-side.